Choosing a vacation spot is a tricky thing. You want something that has plenty of things to do, is easy enough to get to, and is in line with the people in your party’s interests. Of course if you are a space nut, Cape Canaveral, FL is a great place to go. If you are into chocolate – Hershey, PA. Country music your thing? Nashville, TN. But what about if you and your family have a well rounded set of interests? You need a place that will cater to all of your tastes and allows a little bit of everything so that everyone has a good time. Chicago is just such a place! 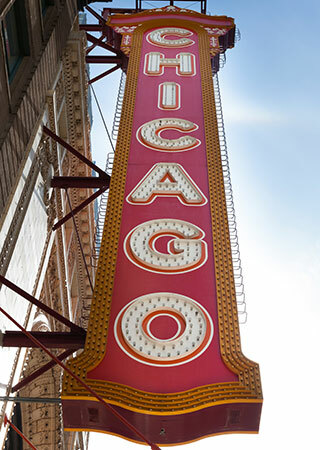 Chicago is in the Midwestern region of America, making it “not too far” from anywhere in the Continental US. It is the largest city in Illinois and is the 26th biggest metropolitan area in the world. So, why Chicago? It is a very interesting juxtaposition of old and modern. Because of its rich history, there are many stories and historical sites to visit, but the city also boasts some very beautiful architecture and a wonderful museum. One thing that is synonymous with Chicago is great food. Whether it is pan pizza from Pequod’s Pizza, the 40 Day Rib Eye from David Burke’s Primehouse, or a glazed old-fashioned doughnut from Doughnut Vault, Chicago has some amazing food. Just know that you don’t necessarily want to go to the most touristy destinations. Talk to the locals about what they actually like to eat. Do some research online in something that is not tourist related. You will find some amazing food and yes, you will have to wait in some long lines, but it is worth it. Chicago boasts an amazing sports history with lots of professional sports teams, all enjoying success at different times in their history. The Chicago Bears won the Super Bowl in 1985 and have had some very good teams over the years. The Chicago Bulls changed the NBA and became a true powerhouse during Michael Jordan’s time there. The Chicago Cubs have been unlucky in the postseason for a long time, but they have an incredibly rich tradition and Wrigley Field is a stadium that any baseball fan wants to visit. The White Sox are kind of known as “the other” Chicago baseball team, but they have been successful in their own right as well. The Blackhawks have won 6 Stanley Cups in the NHL, and the Chicago Fire have a single MLS championship. In terms of entertainment, who wouldn’t be fascinated by the city where the world famous Oprah Winfrey and her show are headquartered? This famous TV personality has captivated many tourist hearts before they even landed in this city where she also lives. If you are into art and architecture, Chicago is a much visit. There is the Art Institute of Chicago which is one of my favorite museums because of the collection of art that they boast. The Field Museum might be your thing if you are more scientifically inclined, or there is the Museum of Contemporary Art if you are a fan. And for the architecture lovers, you have to do one of the tours. I love the river tour because you get to relax in a boat as you take in the beautiful buildings.